I learned how to quilt the summer before I started high school. It was my Mom who taught me and I started with just simple squares. I was really proud of my handiwork and used my homemade lunch bag and school bag throughout high school. Surprisingly those two bags are still useful until today. When I started to spend more time in Singapore I thought of going back to an old hobby. Thought about doing bead work, but it was going to be a pain to transport my collection of beads from Manila to Singapore. Crochet would have been okay, but the projects would have been limited. So I started quilting again late last year. 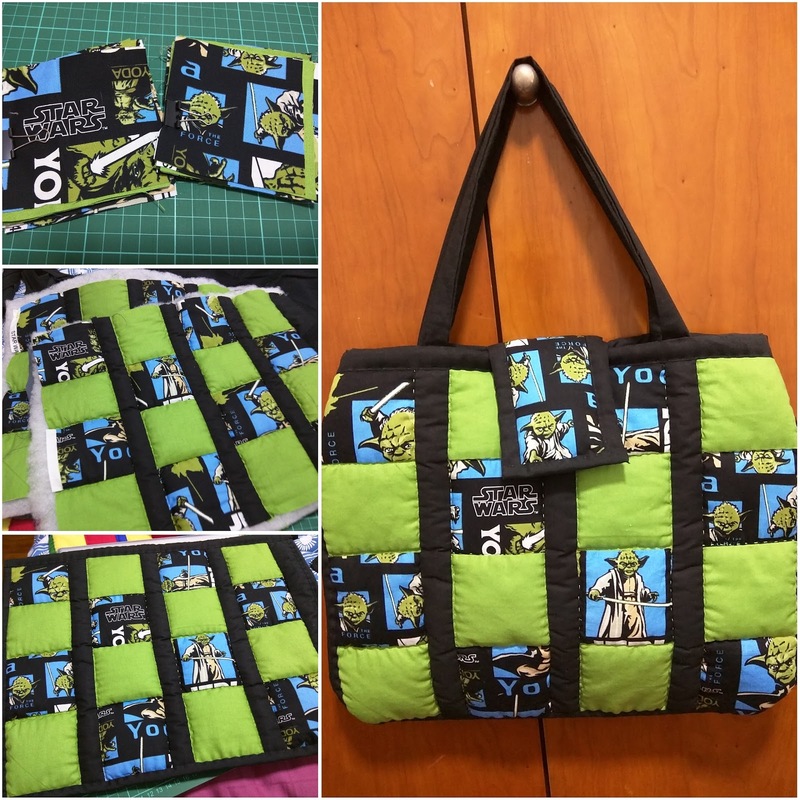 I began with creating small items - a small wallet, laptop sleeves and Jet's Star Wars blanket which took 10 months for me to finish. 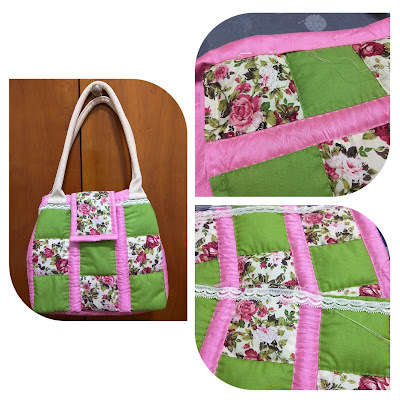 Now that I have had more practice I find more fulfillment in making smaller projects that I could complete in 2 weeks. 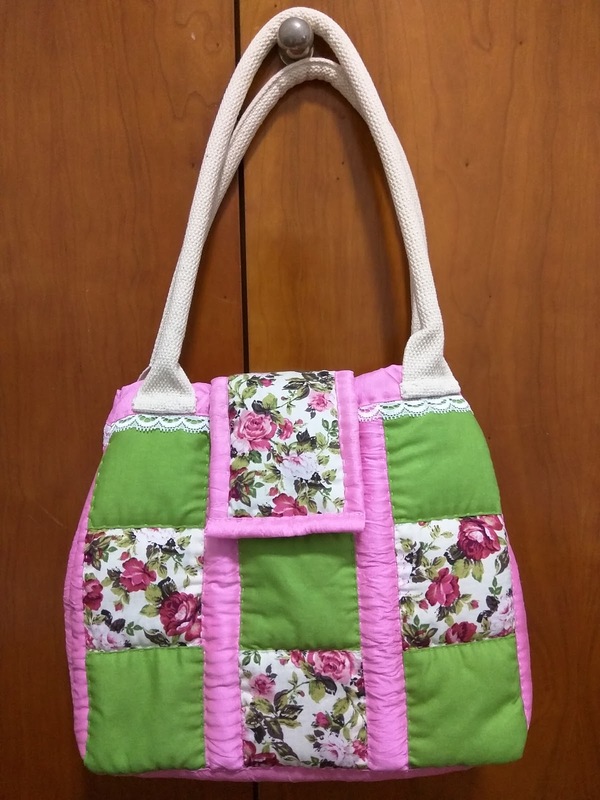 This started when I decided to make a small bag for my friend's daughter which I finished in less than a week. 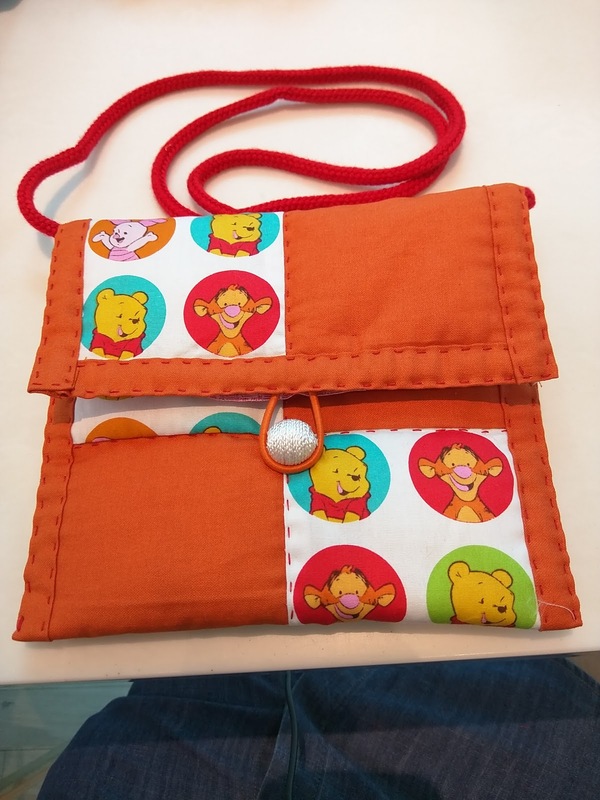 It would have been better though if I had Minnie Mouse fabric, but I only had Winnie the Pooh available so I just used that. I remember the very first bag I had when I was a child (it had a butterfly on it) and I have since loved using quirky bags. 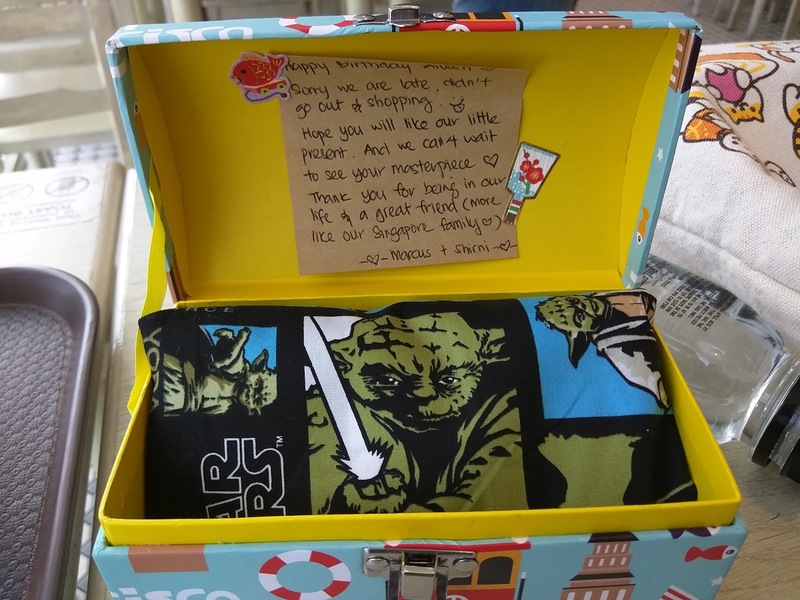 I have been collecting Yoda figures for sometime now and my dear friends Shirni and Marcus gave me some Yoda fabric on my birthday. 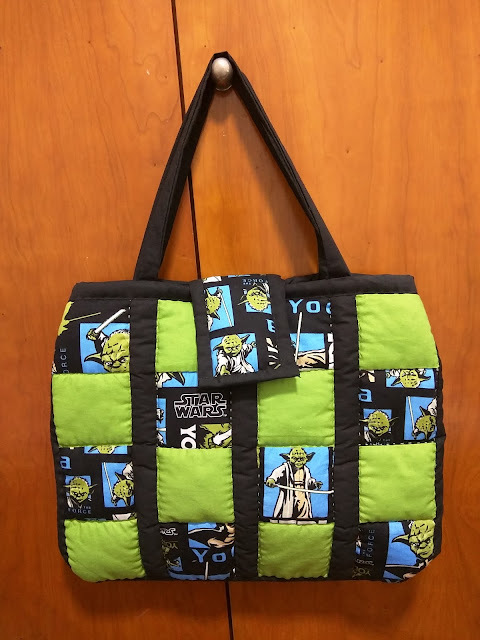 So I made it into a cute Yoda bag. It's the first big bag I made so I consider this still a prototype and I have to plan cutting the fabric a bit better. I started using it only in the last few days so I hope all the stitches will hold up. 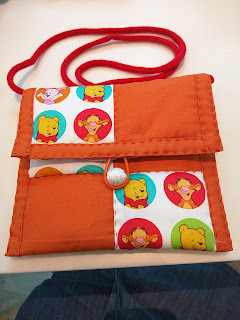 I made the bag a bit smaller than the original design since I don't carry around a lot of stuff anyway. It took me almost 3 weeks to work on this since I had to rest my arms for a few days as advised by the doctor. After the Yoda quilted bag I realized my Mom was coming over for a visit so I decided to make her a small bag. I realized that it gets easier with more practice! 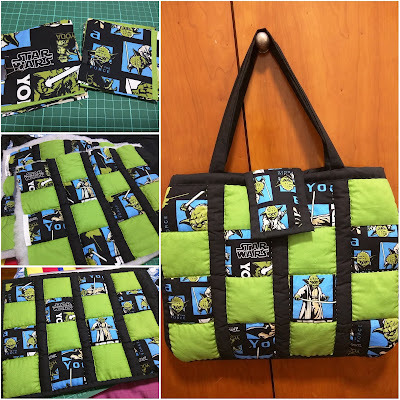 It just took me over a week to finish this bag. 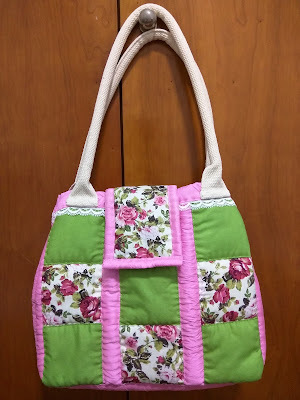 I also experimented a big and added some lace (my Mom used to add lace to my bag projects) and found a better alternative for the strap from Daiso. It's been a year since I started quilting again and I think I'm more confident now with my projects. I've been working on using other shapes too (working on a pinwheel cheddar cheese blanket which will probably take a million years to finish). 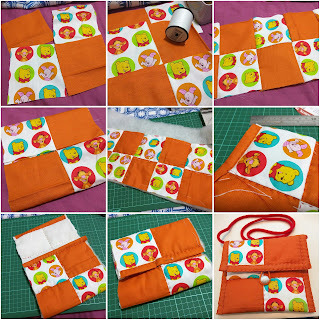 Some friends have suggested I get a sewing machine already, but then I usually quilt just before going to sleep so I will lose the location flexibility if I use a machine for sewing. 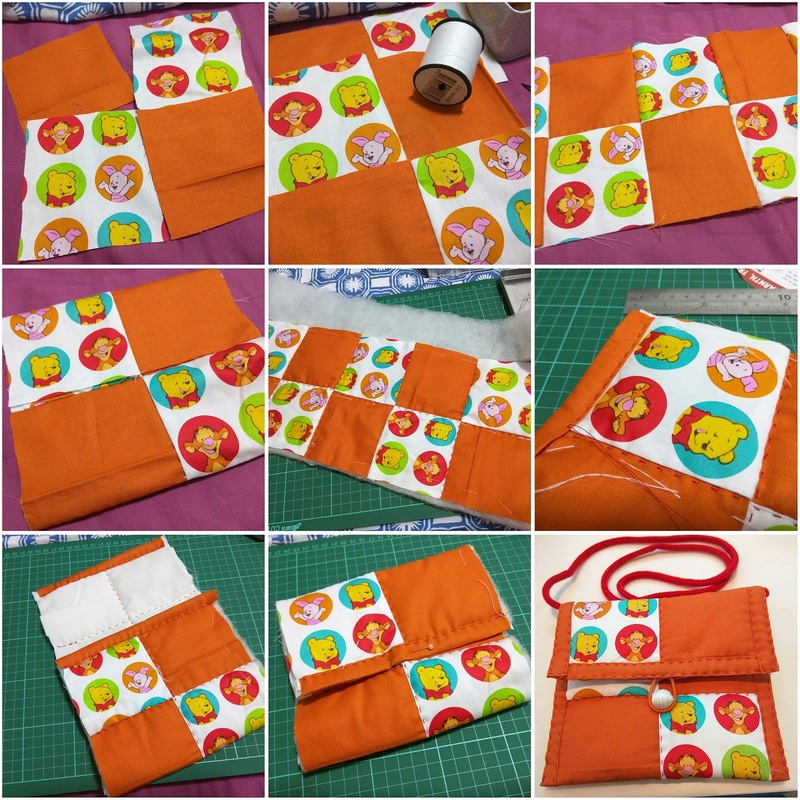 I've just been using very basic materials, but I think it's time for me to buy a mini quilting iron to help me with creating the bias. If you want to try quilting you just need the following basic materials: needle, thread (ordinary and quilting thread), pins, scissors, ruler, plastic folder (for making templates), pencil, wadding (I've been using the fluffy ones, but it's easier to work with thin wadding), fabric and lining fabric. 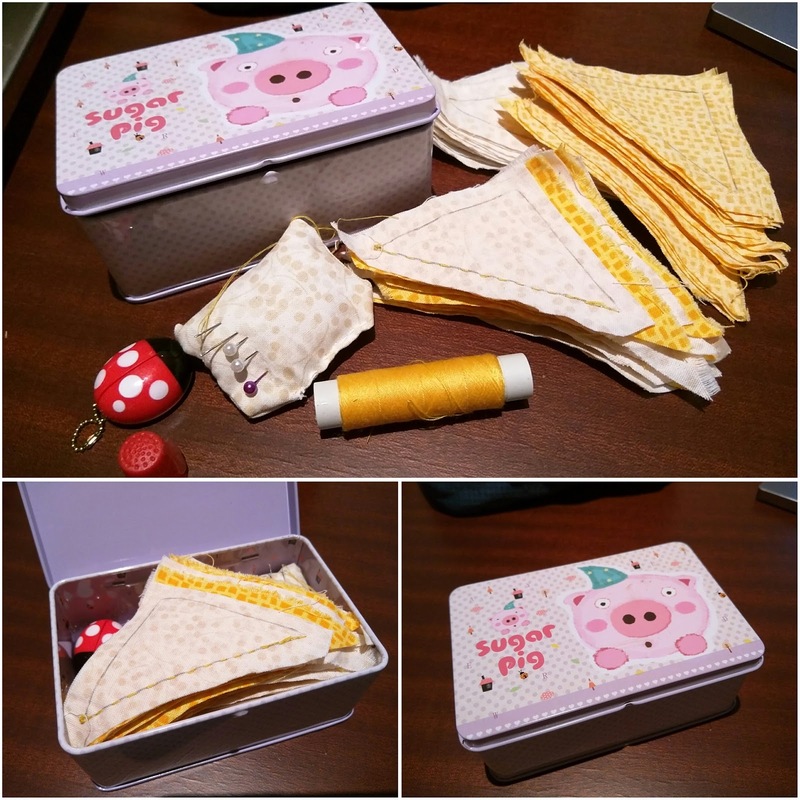 This is my tiny bring it everywhere sewing kit. *The lady bug is a tiny scissors.